Unfortunately, some teeth cannot always be salvaged and must be extracted. Crosspoint Family Dental will use every measure to prevent tooth loss, but there are times when a tooth extraction is the only option. We provide extraction services in the Westford, MA area and you can call for a consultation or appointment today. Some teeth require extraction because they are severely decayed, suffer from advanced periodontal disease or have broken in a way that cannot be repaired. Before an extraction, our dentists will take an x-ray to understand the shape and position of the tooth and the surrounding bone. Depending on the complexity of the case, we may refer you to an oral surgeon for the procedure. 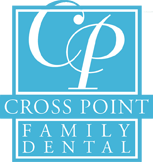 Crosspoint Family Dental will work hard to minimalize the pain and discomfort you may suffer following an extraction but a certain amount is to be expected. The discomfort and pain can be minimalized with pain medication and an ice pack applied to the face. This should lessen within three days. If you are still suffering from pain, swelling, bleeding or fever, please call our office immediately at (978) 459-6467. To schedule a consultation or appointment with one of our experienced and friendly dentists, please call our office or email crosspointdental@comcast.net. We offer extractions and other dental services in our office located near Westford, MA.